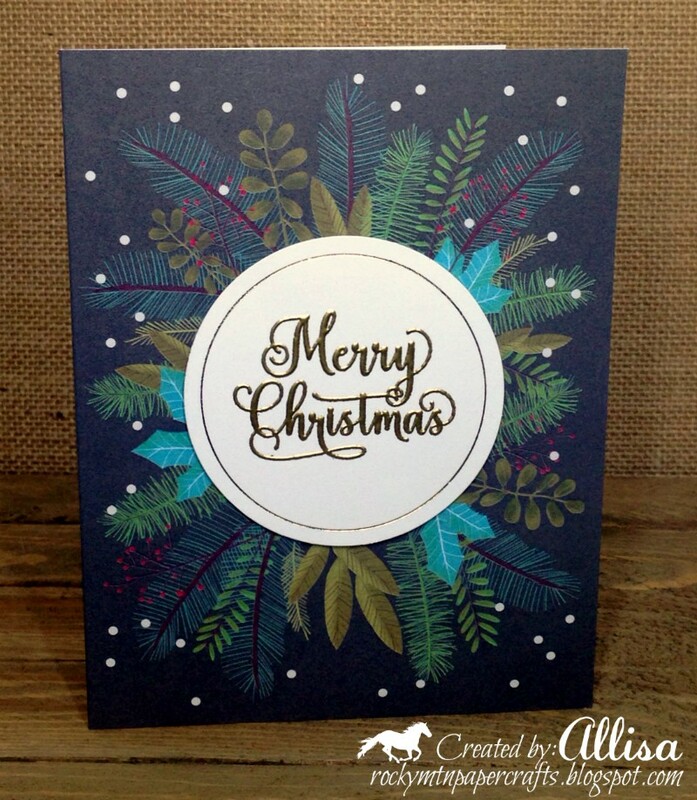 Need Christmas cards in a hurry? 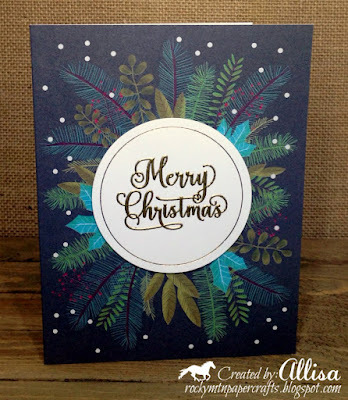 The Merry Everything Card Kit is just the ticket! 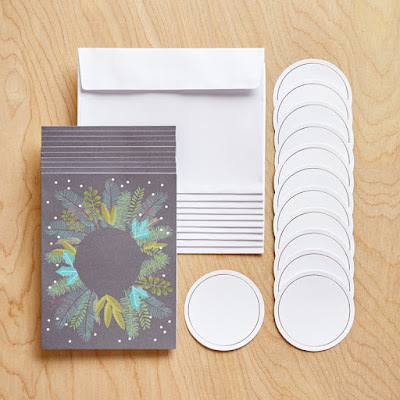 Thinking card kits might not be your thing??? You can always add to the kit to give it your own personal touch. I love the versatility of the Close To My Heart card kits. I admit, I do often cut them up and add on some layers. I always complete a few cards just as the kit intended, to have cards for you to compare to. The choice is yours....quick and simple or add a few extra steps to make them uniquely yours. My first card is step up from the basic card kit. 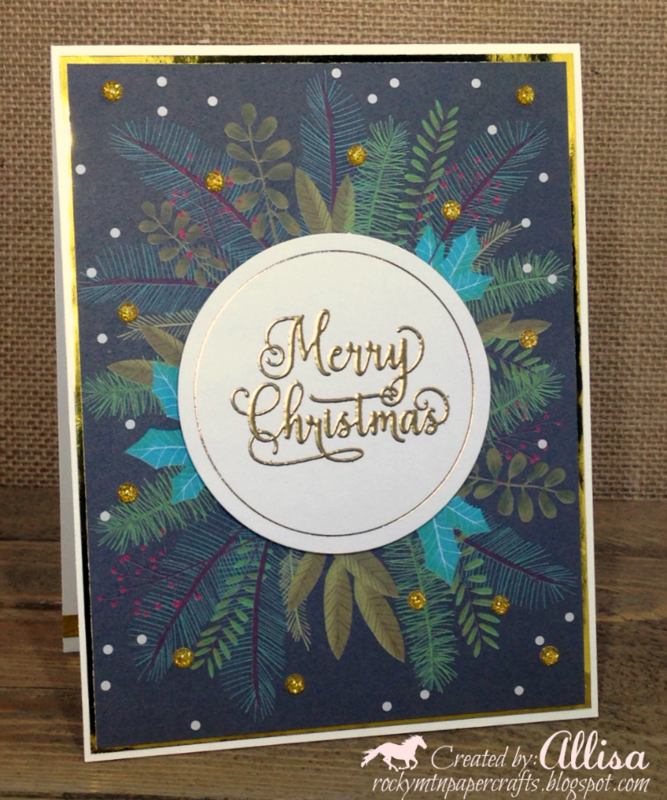 I cut the card apart and layered with a gold foil background. 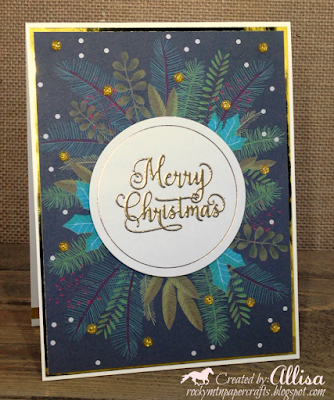 I heat embossed the Merry Christmas image in gold. I then added some gold glitter gems to my wreath background for a little bling. We all have different crafting styles, and if you are in the non-bling fan club, here is a look at the original card. Very nice. Thanks for joining us at Crafty Friends. Fabulous card, thanks for playing along at CCC. Cyber Monday-up to 40% off!